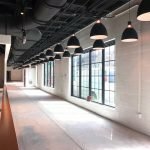 Fast-casual pizza and gelato restaurant Tinybrickoven recently opened at 1036 Light St. in Federal Hill. The space was home to Grilled Cheese & Co. before it closed in September. 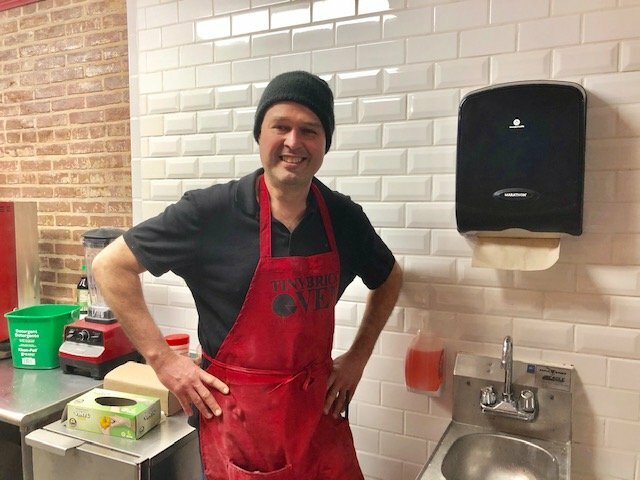 Tinybrickoven is owned by Will Fagg, who spent the last few years operating the business at food festivals and teaching the art of making pizza. 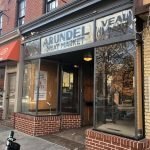 Fagg spent the past year looking for his first brick-and-mortar location and was hoping to find a space in in Alexandria or Arlington, but soon realized that commercial space is a lot more affordable in Baltimore. Fagg said when the opportunity at 1036 Light St. popped up that it was “too perfect” to pass up. Fagg is thrilled to be a part of a historic neighborhood like Federal Hill and in a historic building that dates back to 1900. 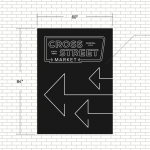 Fagg conducted extensive research on the space and learned of its past as a Baltimore lunch room, a music shop, Arundel Meat Market, and Dangerously Delicious Pies. While Fagg is originally from Northern Virginia, he worked at Johns Hopkins as an operating room nurse and grew to love Baltimore. Fagg recently stopped nursing to focus on opening Tinybrickoven. Fagg completed a mostly-cosmetic renovation of the retail space which include refinished floors, new subway tiles walls that complement the existing exposed brick, and a new ordering counter. The space has a back dining room with tables topped with traditional Italian pizzeria red and white checkered table clothes. Behind the counter, Fagg installed two Turbochef ventless pizza stone bottom ovens. These ovens reach temperatures of more than 800 degrees and cook his signature pizzas in about 80 seconds. The storefront has two large display areas with signs in the windows. Fagg will display his Tinybrickoven, a portable propane-powered brick pizza oven he invented that has a rotating stone at the bottom. It will also include a story behind his creation which he has yet to mass produce, but hopes to in the future. Fagg used his oven creation at the festivals he worked. Fagg says the pies at Tinybrickoven are somewhere in between Neopolitan-style and New York-style. They are crispier than your traditional Neopolitan and use tomatoes from the United States instead of San Marzano tomatoes from Italy. 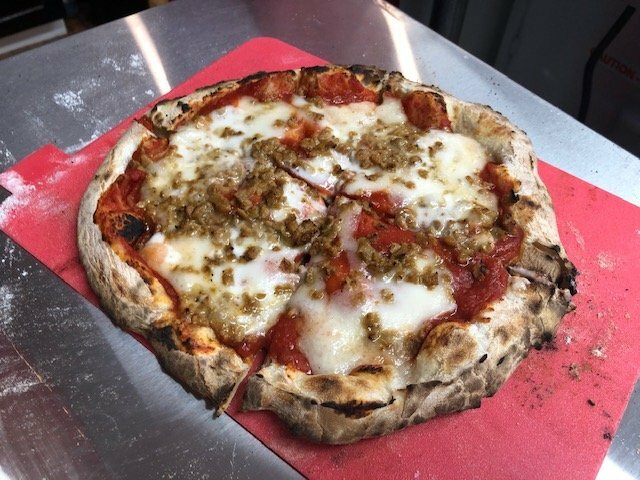 The pizzas will include Fagg’s housemade dough recipe that takes several days to make, in addition to whole milk mozzarella. Tinybrickoven will have toppings including pepperoni, bacon, Canadian bacon, sausage, vegetables, vegan cheese, and vegan sausage. 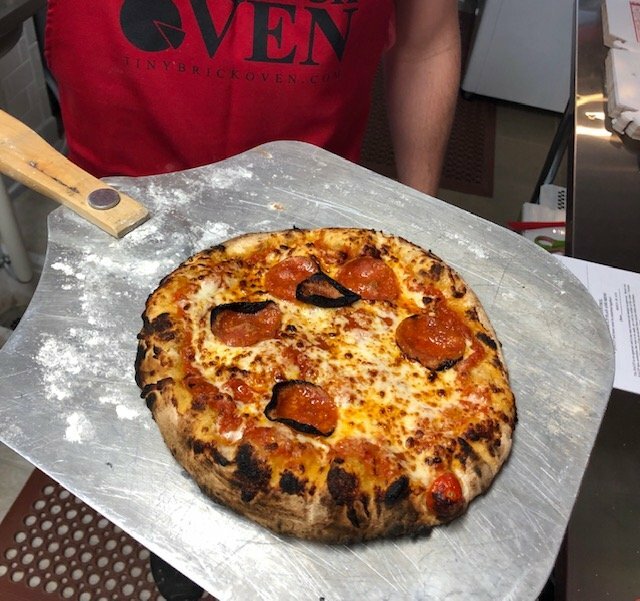 Along with a regular crust, Tinybrickoven will eventually serve a gluten-friendly crust option. The pies will be about 10 inches and cost around $10. Tinybrickoven will serve gelato from Alexandria’s Casa Rosada Artisan Gelato, a favorite business of Fagg. There will be six to 12 flavors served each day, including a vegan option. For drinks, Tinybrickoven will offer Jones Soda Co. fountain soda along with espresso. Tinybrickoven will be open Tuesday and Wednesday from 11am to 9pm, Thursday from 11am to 11pm, Fridays and Saturdays from 11am to 3am, and Sundays from 1030am to 8 or 9pm. It will be closed on Mondays. Tinybrickoven will partner with apps like DoorDash, GrubHub, and Uber Eats for delivery. Customers will find Fagg behind the counter cooking pizzas and greeting customers. He will slowly build up his staff to about three or four employees. Fagg is a U.S. Navy veteran and has cooked his pizzas at VA events in the Washington, D.C. area. He plans on using his business to help out local veterans and participate in local charity events. 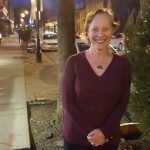 Tinybrickoven will host a guest chef program to raise money for local charities. Fagg is also hoping to open a Tinybrickoven food truck in the future.